Montes winery produces some of the top rated South American wines, think La Finca. 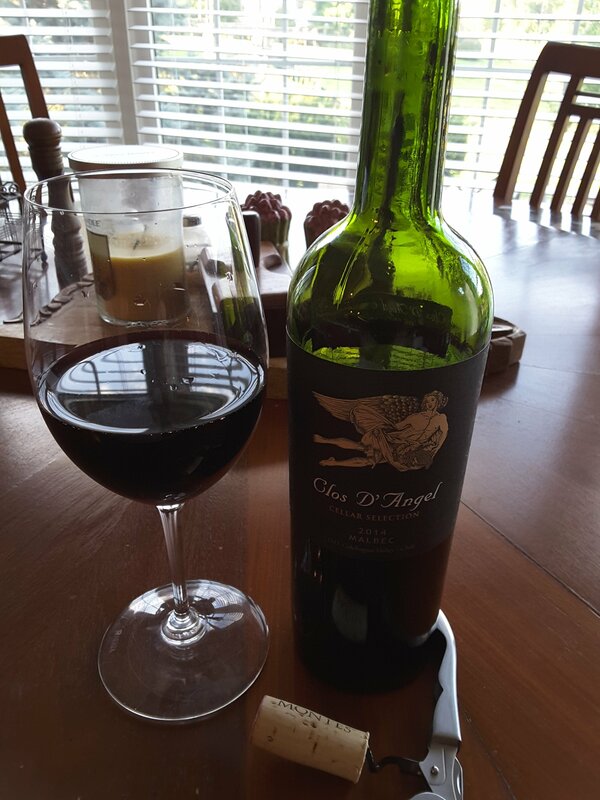 Hailing from the Colchagua Valley in central Chile-Clos D’ Angel is a new label from the Montes group. This is the Malbec, 2014. A heavenly delight that is 85% malbec and 15% syrah. Malbec has had a storied existence. French Malbec was almost completely wiped out from disease, but thrived in South America, it is still one of the 6 Bordeaux grapes (including Carnere) but honestly in all my tasting (to put it politely) I have rarely come across. Now when asked about Malbec 99% will automatically think South America. This big robust purple grape with a distinct ink color provides a plummy-dark fruit taste that verges on “sweet” but not. Clos D’ Angel is produced from grapes from the El Arcangel Vineyard. Handpicked. The juice produces the much sought after, full bodied fruit with light tannins that so many strive for and never reach . The raspberries, plum and coffee with hints of tobacco and cocoa just explode. Thirsty yet? The finish is long and satisfying-if you are willing to stop at one. But I am never willing to stop at one, that is why I am ususally very satisfied. HA. The Montes group has done a fantastic job with this one. Beautuiful. Enjoy this one with red meat, or by itself as I often do. I wish I had another right now. Next Post: It’s all about the DIRT Dummy!!!! !